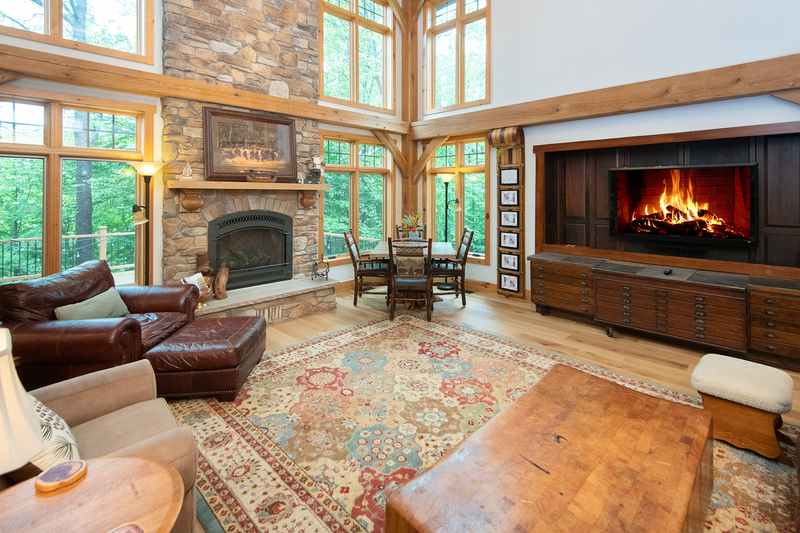 It’s called Hidden Valley for a reason, as you will find this lavish area tucked away near Somerset, PA along a mountaintop with 30 miles of vistas. 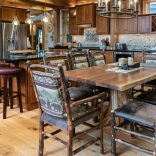 The clients wanted to enjoy family gatherings in a peaceful community that appreciates nature’s beauty. 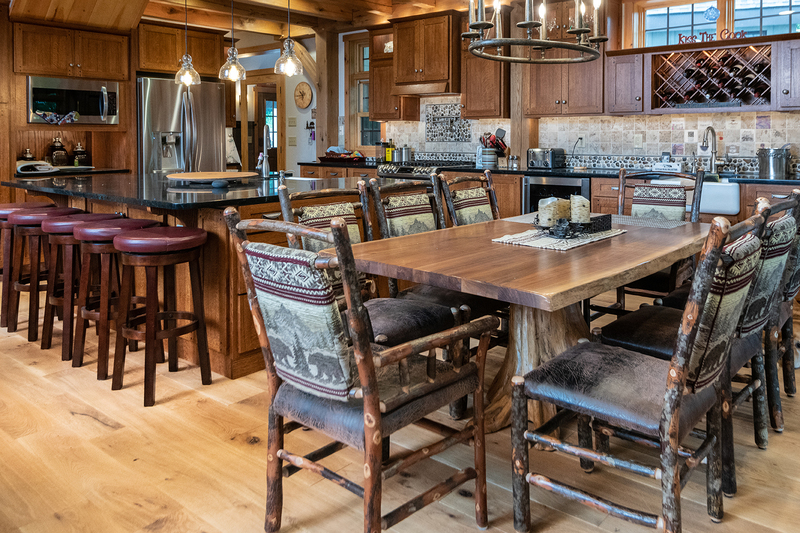 They had a stunning timber frame home built to coincide with the surroundings and choose companies that work with natural elements in a skillful manner to carry on the authentic beauty throughout their home. 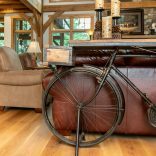 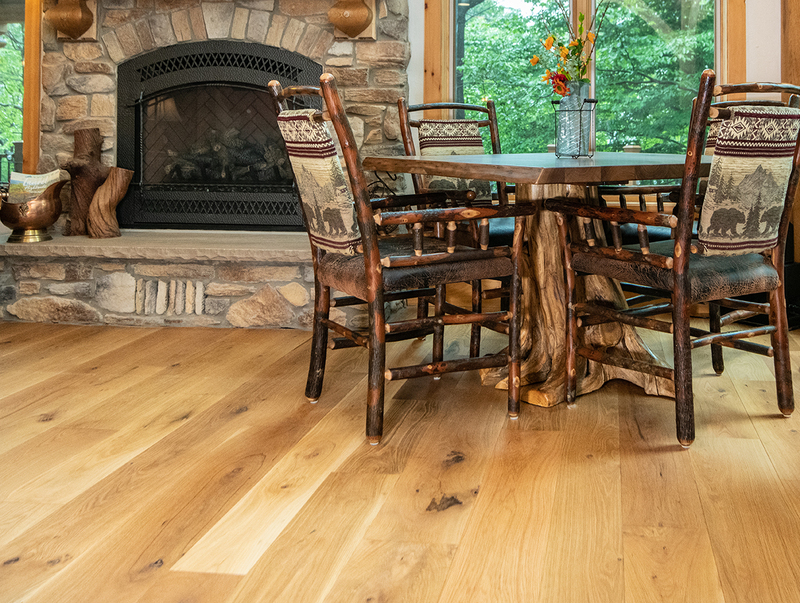 Each company involved prides themselves on quality and craftsmanship so they knew between Oakbridge Timber Framing building their home and Peachey Hardwood Flooring creating their floors that this house would be custom to their liking. 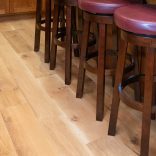 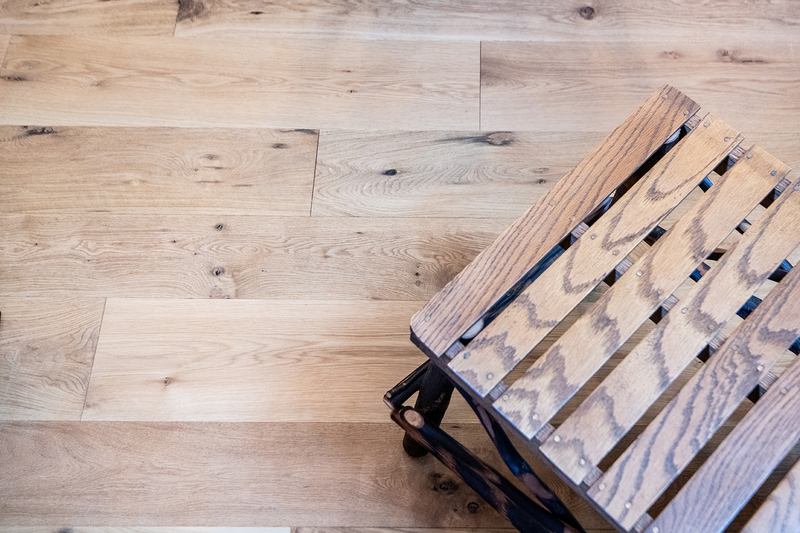 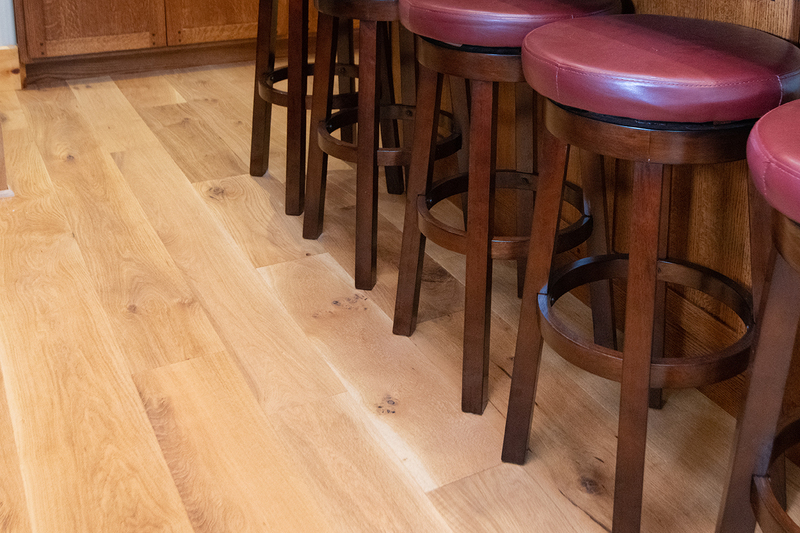 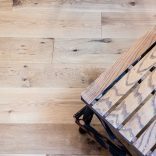 To continue the natural look, the homeowners selected random widths of 6, 7, 8 inch of Natural Character White Oak with knots filled and topped with a Rubio Monocoat Pure finish for their hardwood floors. 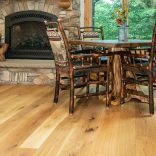 The finish is an oil based natural product with 0% VOC (volatile organic compound). 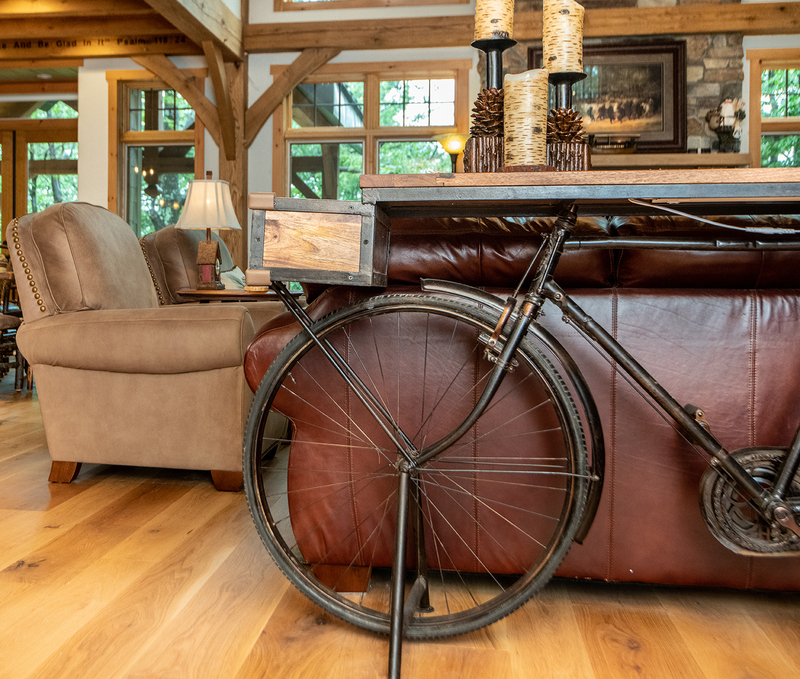 They were looking for something that was suitable to last many years and build stories of character for when the time came to pass down the house to future family generations.